"It was the last event with the traditional Le Mans-style start, in which the drivers run across the track to enter their cars, as safety belts were now in use, which usually are strapped tight by mechanics. The eventual winner, Jacky Ickx, had demonstrated against the start by walking slowly to his car, putting on his safety belts properly, and thus starting voluntarily at the back of the field. Later in the first lap, John Woolfe was killed, presumably due to not wearing belts properly. The traditional Le Mans-style start was discontinued after this accident, as drivers started in 1970 already strapped firmly into their seats. 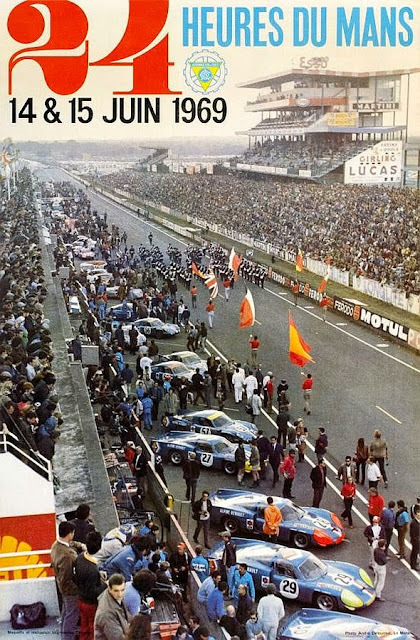 For this race, metal crash barriers had been installed around the circuit, especially at the Mulsanne Straight, where it was originally just an open road with no protection from the trees, houses and embankments."